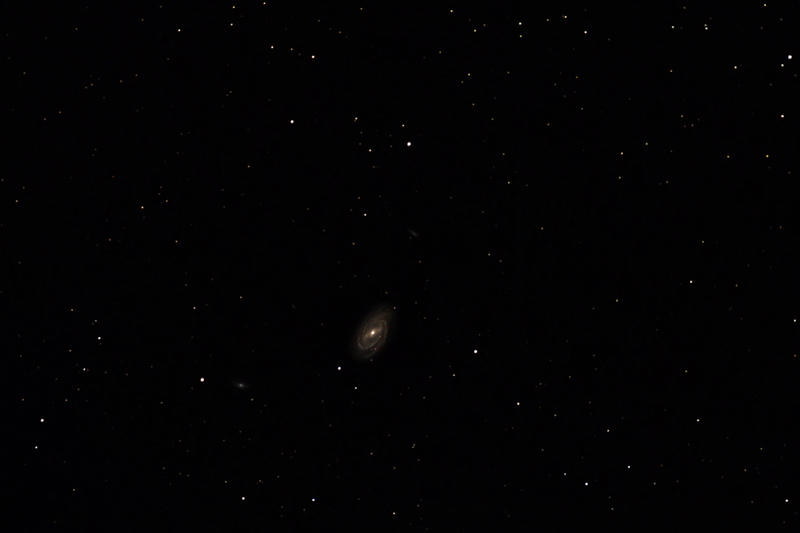 Processing This image was taken under third magnitude skies. As a result there was a lot of red background in the image which had to be corrected. The stars were then separated from the background so the background could be noise reduced without bluring the stars. The image was stretched and a mask used to bring out the galaxy. The star colour was slightly enhanced and slight star trails removed. Finally a gradient was removed and the layers recombined.